Hello! Happy Saturday! I hope you have al had a good week! I’ve had a bit of a busy one – I had a Halloween party for my birthday last Saturday, so spent the whole day trying to make the house look Halloweeny, all night dancing in my kitchen with awesome friends, who all had awesome costumes, and then most of Sunday recovering from Saturday night…oops…on my actual birthday Marcus took me out for my all time favourite dinner which is a slow cooked lamb they do at the Magdalen Arms – it comes with dauphinoise potatoes and pickled red cabbage and is pretty much the most amazing thing I have eaten in my life. 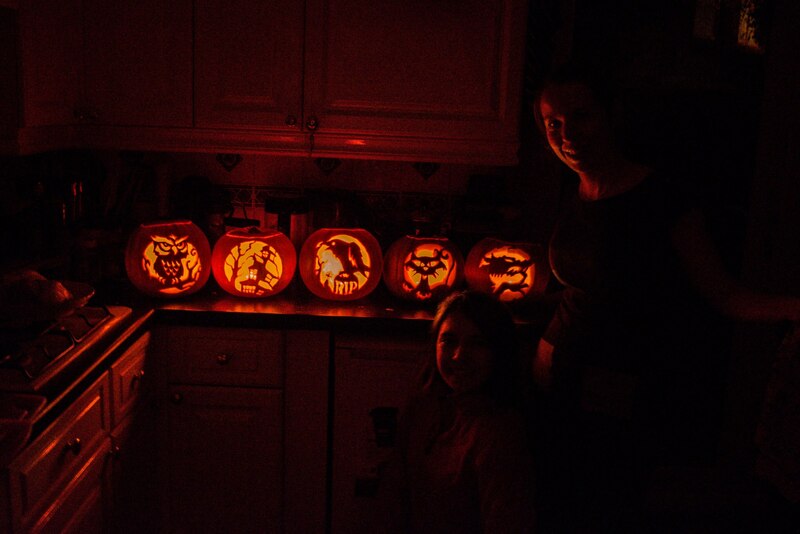 I also carved proper pumpkins for the first time in my life – I was going to do some for the party, and my friends Mindy and Megan offered to come and help. Turns out Mindy is a bit of a pro and we ended up with some awesome designs! I’m so pleased with how they all turned out! I’ve also stolen her photo of them as it was better than mine, which I only took on my phone! I have a bit of a quieter weekend this weekend, so I am dedicating today entirely to sewing! It’s been a long time since I’ve been able to do that, so I just want to get as much done as I can! I finally traced the pattern for the Minoru jacket this week, so I’m going to make a start on that – I really want to finish it in time to go to Paris in November. Also, I basically have no decent coats to wear at the moment, so I could do with getting it done! 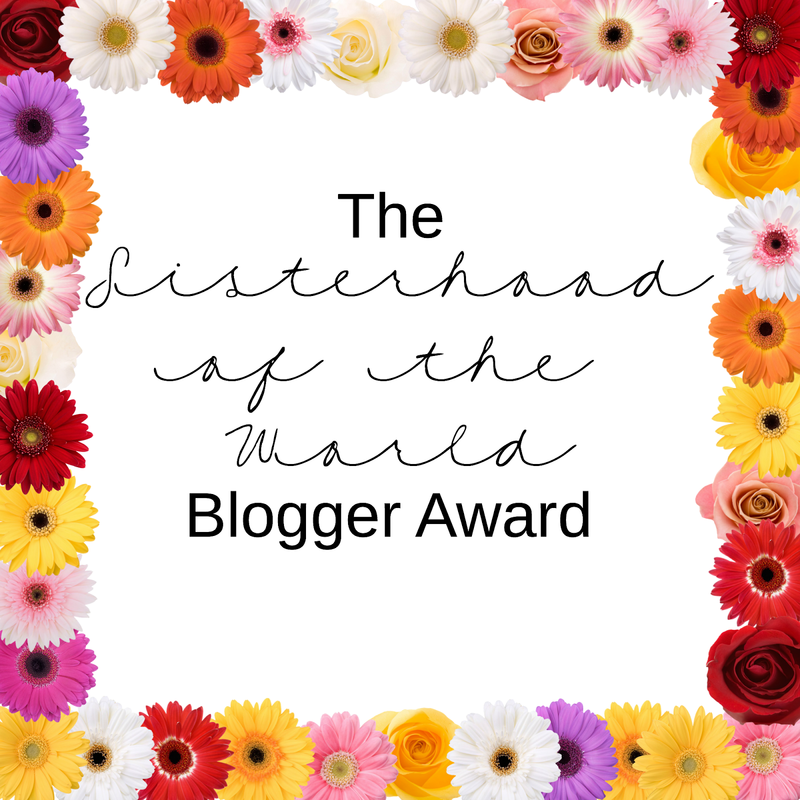 Thank you to Meg for nominating me for this! I discovered Meg’s blog after the SewBrum meet up. I really enjoyed reading Meg’s post, and she’s come up with some really interesting questions here which I will answer for you. Whenever I was doing crafty stuff, Marcus would say I was ‘making and doing’, so it kind of sprung from there. Who are your most inspirational bloggers? Fiona at Diary of a Chainstitcher – I’ve been following Fiona’s blog pretty much since I started sewing and she was one of the first sewing bloggers I ‘got to know’ online. In this time, her sewing skills have EXPLODED – every time I look at her blog, she’s made something else incredibly tricky or complicated – she is always pushing herself with new techniques and fabrics and it makes me realise how much can be achieved. Lauren at Lladybird – for the sheer number of items she manages to push out – her post on how she sews so much inspired me to try and implement some of those things in my sewing life (still working on them! ), and because I end up wanting pretty much everything she makes! Daniela of Ela Sews – I am in awe of her patience and many many toiles in order to get the fit right on her garments – it really pays off! Also her knitting skills – I planned knitting a jumper the time she also started her first. I have half of the back of mine, she’s made goodness know how many since. Jo at Making it well – for pretty much the same reasons as Daniela – her patience with fitting is admirable, and she has also knit up a collection of gorgeous sweaters! Bit of a pattern emerging her isn’t there – basically people who manage to do things that I really want to be able to do myself! I aspire to be like them! Money and life commitments aside, what would your dream job be? Any great blogger tips for beginners? Just go for it! Write for yourself, because you want to, not because you feel like you have to. I started my blog primarily just to have a record of everything I made, not because I thought people would actually read it. Don’t beat yourself up for being a ‘bad blogger’ or not posting regularly – sometimes there are a couple of months between my posts, and I’d like to post more regularly, but I don’t want to ‘make’ myself do it – then it becomes a chore. Do it because you enjoy it. Er…my sister! She’s a beauty therapist, and is my best source of information on such things! She is also appalled by the fact that I often go to work without make up on. When I do wear make up, eyeliner is the one thing I always wear. What’s the best thing that’s happened to you so far in 2014? Buying my house! It’s something I’ve been wanting to do for years, and it’s great to finally have space that is my own and I can do what I like with. And enouh space that I can have a sewing room and fit all my stuff! Next year we’re going to start on the big job of decorating the whole of the downstairs – I’m really looking forward to making it our own a bit more, but it’s going to be a massive job! If you could try any new hobby, what would it be? Don’t ask me that – I don’t have enough time for all the hobbies I already do! I’d quite like to give wood working a go at some point though. And pottery. I am really envious of people who seem to have a particular style, and always look so put together. I really don’t feel like I am there, but I really want to be. I just can’t work out what is ‘me’. If anyone knows, please let me know! Do you have a ‘better-than-your-mums’ recipe? Hmmm, roast potatoes! I always used to be confused as to why everyone was so obsessed with roast potatoes, as they just didn’t do anything for me. It took me a while, but I finally found a recipe that made me go ‘ahh, this is what people were talking about’. I’m now in charge of roast potatoes at Christmas. Actually, this year, we’re doing Christmas at our place so I guess we’re in charge of it all! Largely my head I think – I over-analyse and over-research every decision I make! Ok, now for my nominations! I know there have been a lot of blog hops and stuff going round recently, so I don’t want these guys to feel under any pressure to answer, but if they feel like it then great! Because I think Meg’s questions were so great (ok, and also because I just want to get on and sew now! ), I’m going to leave you all the same set of questions to answer! I look forward to reading your responses! These were such great questions! I love getting to know bloggers a bit more through posts like these. Thanks so much for mentioning me, it’s the absolute BEST thing about blogging to read something like that and you’ve put a smile on my face for the rest of the day! They were, I really enjoyed answering them, and felt like they were ones that people might actually enjoy reading as well :) aw, I’m glad I have made you smile, thank you for all your awesome inspiring sewing, you just keep taking it to the next level! Oh my goodness, those pumpkin carvings are sensational!! Well done. You’ve listed a few new to me blogs that I look forward to checking out. Oh wow! Woodwork? It gives me shivers thinking back to DT at school so you go girl! I’d love to see what you’d create. And congrats on the new house!! I bet your head is full of crafty DIYs for the home… When you make it your own, I’d love to see a house tour! Thank you so much for answering my questions and passing on the hop! Oops, I’ve only just seen this (massively behind on my blog reading). I’m now hungry reading about roast potatoes! Loved reading this post and thanks for the nomination!